Eric Clapton will play his only North American shows of 2018 when he performs at New York’s Madison Square Garden this fall. The October 6 and 7 appearances will feature special guests Gary Clark Jr. and Jimmie Vaughan and come on the heels of the guitarist’s sold out show at London’s Hyde Park this July. A Chase customer presale runs from Thursday, March 15 at 10:00 a.m. ET through to Friday, March 16 at 9:59 a.m. ET via ticketmaster.com before general public tickets go on sale Friday, March 16 at 10:00 a.m. ET. The three upcoming shows follow Clapton’s only other scheduled live date this year, which took place in Paris, France in January. The guitar icon – who will turn 73 on March 30 – has been ravaged by health issues in recent years, including nerve damage that has made playing music, among other things, a challenge for him. 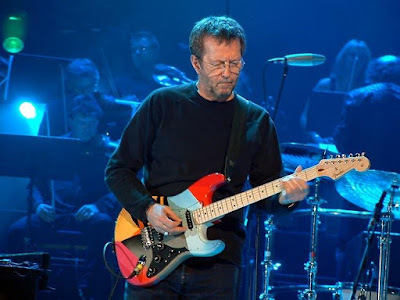 Clapton has also revealed that he is losing his hearing to tinnitus, the ailment that causes those affected to detect sound, often as ringing in the ears, when none is present. “I am still going to work. I’m doing a few gigs. I am going to do a show at Hyde Park [British Summer Time Festival] in July,” the guitarist told the BBC. “The only thing I’m concerned with now is being in my seventies and being able to be proficient. I mean, I’m going deaf, I’ve got tinnitus, my hands just about work.